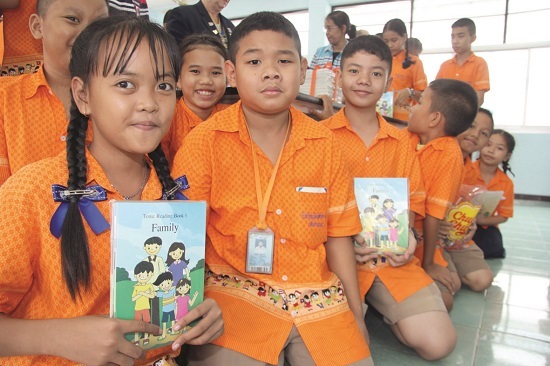 The Rotary Club of Jomtien-Pattaya donated English books to Pattaya School 8 to boost their foreign-language skills. 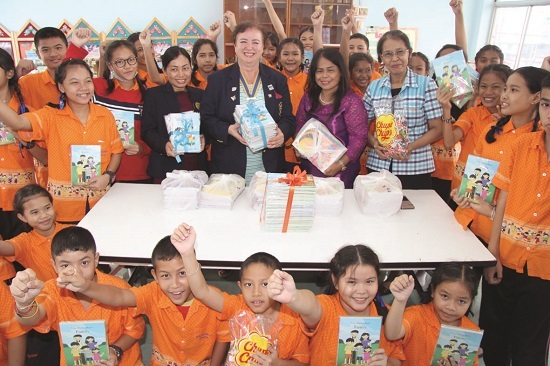 Club President Dzenana Popin and President-elect Nachlada Nammontree presented the 13,500 baht in books to teachers and students who lined up to receive them. The language-lesson books were for grades 1-9 and will help students improve their English skills, Rotarians said. Education is a primary goal of the Rotary and the club has been supporting various schools in urban and rural areas to improve the prospects for students who will graduate in the era of the ASEAN Economic Community. 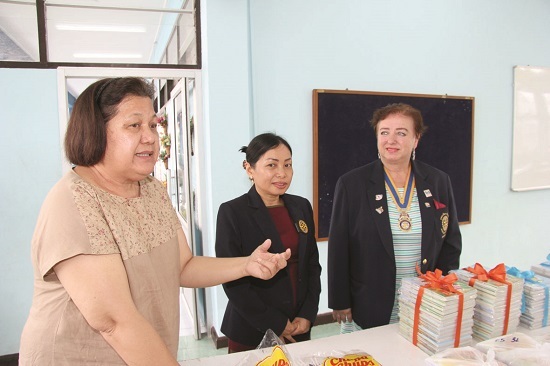 Rotary Club of Jomtien-Pattaya President Dzenana Popin and President-elect Nachlada Nammontree donated English books to Pattaya School 8 to boost their foreign-language skills. PP Alvi Sinthuvanik (left) speaks to the students about the virtues of reading books as PE Nachlada and Pres. Dzenana listen intently. Students ham it up for the camera to show how happy they are to receive these new books.